Check hydraulic oil for dirt and viscosity. oil is dirty or thick, drain tank (9) (TM 9-2320-269-20-2). b. Fill tank (9) with fresh hydraulic oil (LO 9-2320-269-12). a. 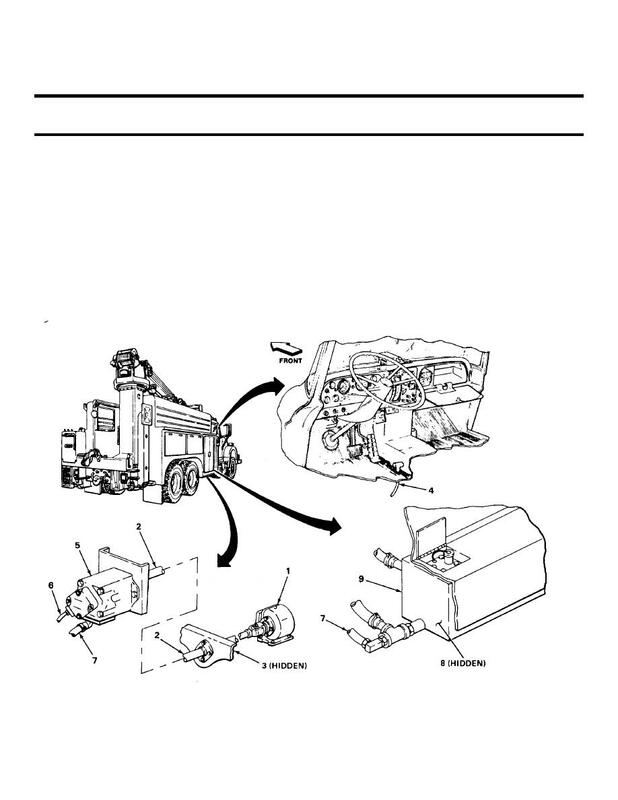 Remove pump (5), and disassemble (page 2-1401). b. Inspect pump (5), repair or replace as needed, and install (page 2-1401).